"In truth I feel like she is one of the most gifted people I’ve ever worked with." Cassandra is a Senior Executive Coach at GK Training and Communications, a performing artist, teacher, and consultant who works in diverse worlds: acting in Hollywood, volunteering in Africa and the US, and teaching and facilitating for non profits, corporations and universities. In her work as a consultant, Cassandra teaches communications skills, team building, collaboration, diversity training, sales training, and more. She is a highly-sought-after speaker, presenter and moderator. Her recent engagements include Vassar College, New York Film Academy, and Rutgers University. As a facilitator and trainer, she helps individuals and organizations transform how they communicate by channeling their own strengths and creativity. Cassandra is the founder of the Kassandra Arts Project, a non-profit organization that seeks to empower disadvantaged children by helping them to unlock their creativity. 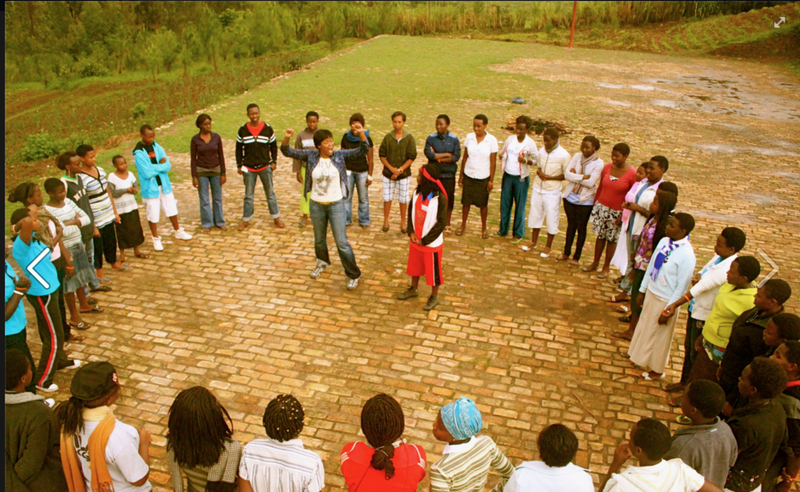 KAP’s most recent programs focus on working with young people in Rwanda. Moderator for "The Achievement Gap"
At the Greene Space with Khary Lazarre-White to see video click the link and scroll down the page half way to view. Cassandra also gives back to other organizations, for the past 3 years she has been the Co-Chair to the Contemporaries Board toDancing Classrooms. Dancing Classrooms mission is to cultivate essential life skills in children. Dancing Classrooms is a successful 20 year old organization that teaches young people leadership skills, foster respect, teamwork, confidence and a sense of joy and accomplishment through the art form of Ball Room dancing. In addition to her work in the business and non-profit sectors, Cassandra is also an established actress with credits in Hollywood and New York. On the big screen, she had major roles in Chris Rock’s I Think I Love My Wife and Spike Lee’s Inside Man, where she starred alongside Denzel Washington. She has also appeared on many television shows including most recentlyNetflix’s Marvel Comic’s hit Luke Cage, FX’s Atlanta, and the VH1 hit from Queen Latifah Single Ladies. She is an alumnus of Florida State University, received her Masters of Fine Arts from New York University. Ms. Freeman currently has taught for over a half decade at Fordham University and also has taught master classes across the country at many institutions and universities.